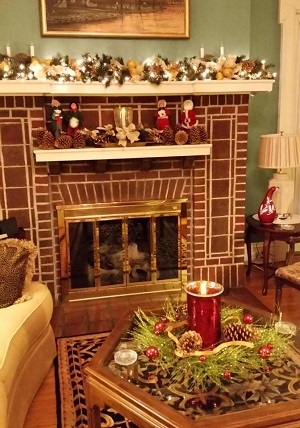 Authentic Bed and Breakfast Blog: Let's Talk Christmas and Belsnickles! It’s August and you know what that means – it’s time to start talking about Christmas! 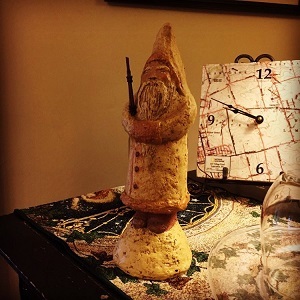 The Authentic Bed & Breakfasts of Lancaster County are introducing the third annual Find Your Belsnickle Tour December 2 and 3 and tickets are on sale now. Over 15 Lancaster County inns participate in the holiday tour, each carefully decorated from top to bottom for the holiday season. Innkeepers put their own flair on their Bed and Breakfast, showing different styles and genres for guests to enjoy. In addition to the decorated inns, guests have a chance to find the Belsnickle, a figurine hidden among the décor. The Belsnickle, a folklore character who’s known as “Santa’s Evil twin,” will be hidden at each inn for guests to find and be entered to win a prize. Ticket sales benefit the local chapter of the Make-A-Wish Foundation. Inns will also serve homemade cookies for guests, complete with a recipe card, and an entry ticket for The National Christmas Center that is valid during the month of December. 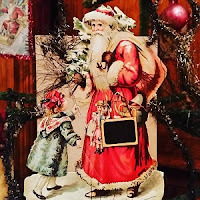 Located in Paradise, PA, and in its last season, The Christmas Center is home to many jolly Christmas displays, including a 1950's Woolworth Store, an antique emporium, Santa’s Workshop, a Toyland Train Mountain, a nativity scene and much more. The winner of the drawing will receive a stay at one of the inns valued at up to $325. Ticket vouchers are $20 and must be exchanged for ticket packets, maps of the tour, the giveaway entry card, ticket for The National Christmas Center and other information. Vouchers can be exchanged between November 15 and the tour dates. For more information, call 717-464-1382. Purchase tickets now and book a night or two at a local inn during the tour and take a few days to enjoy the holiday cheer in Lancaster County while benefiting a worthy cause. To reserve a room, visit www.authenticbandb.com. For more information on the Belsnickle tour, visit http://www.authenticbandb.com/belsnickle.phphttp.